The most comprehensive of our manuals. 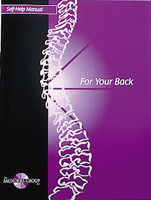 It thoroughly covers back facts, simple anatomy, and causes and treatments for the most common types of back problems. 48 pages.